In 2016, Google launched Data Studio, a free tool for viewing data and generating reports. Its connectors allow data to be extracted from different sources including Google Analytics, Google AdWords and Google Sheets. 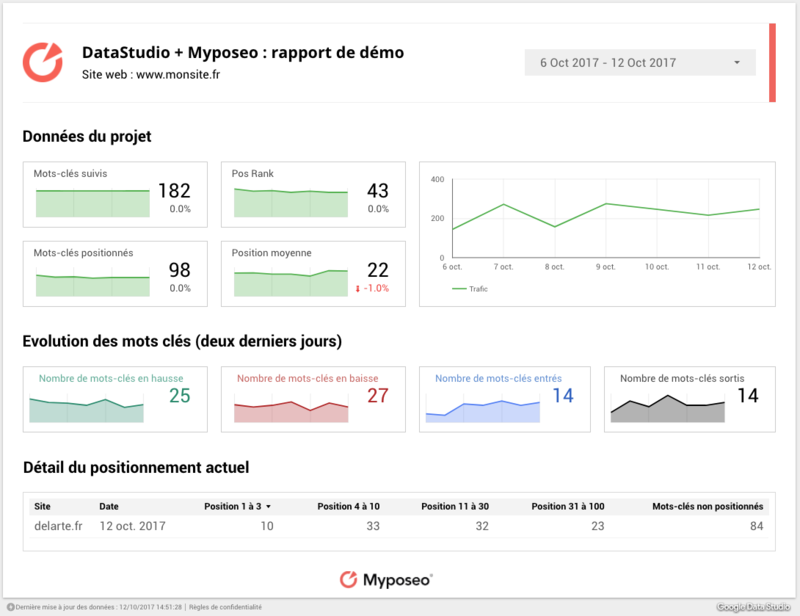 Myposeo has just set up a connector for Google Data Studio. So we have become the first and only French SEO tool to have this connector, which you will find in the list of community connectors. 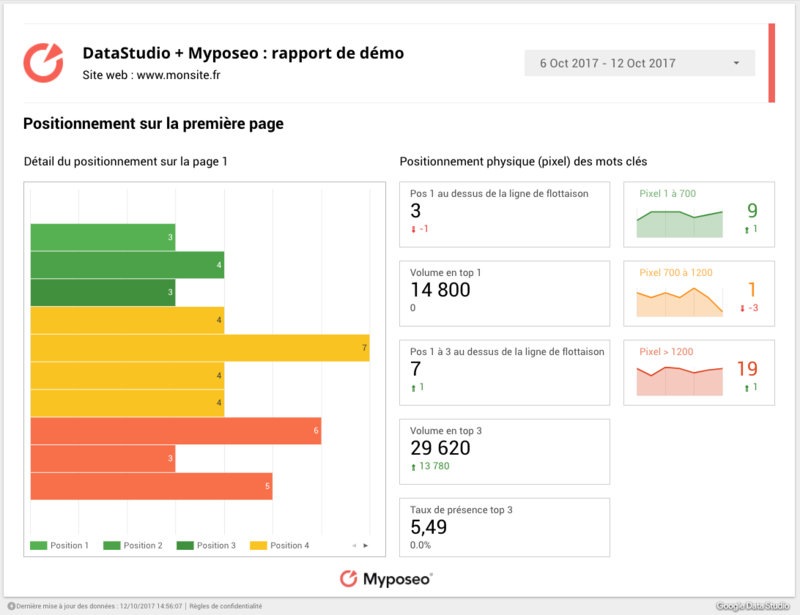 If you are a premium user of Myposeo Pro or Myposeo Insights, you will now be able to import all your SEO and SEA data in Data Studio and create powerful dashboards complete with indicators, directly from your personal account. You will just need to select this option and use the API key dedicated to the connection, which you can request from our support services. To access this function, please contact our support services. For further information, go to this page. Data Studio is a very popular choice as it allows you to gather data directly from Google Analytics, Google AdWords or from the Search Console. But the visualization and data available can be somewhat limited and also the data from the Search Console cannot be kept (only last 90 days available). That is why we have developed syncing with Google Search Console and Google Analytics tools in order to integrate comprehensive records into Myposeo Insights.